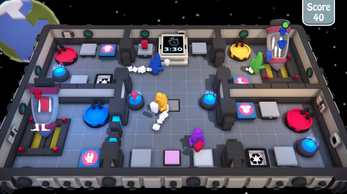 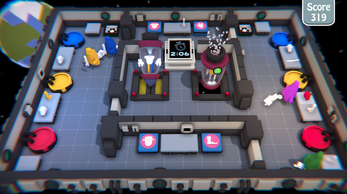 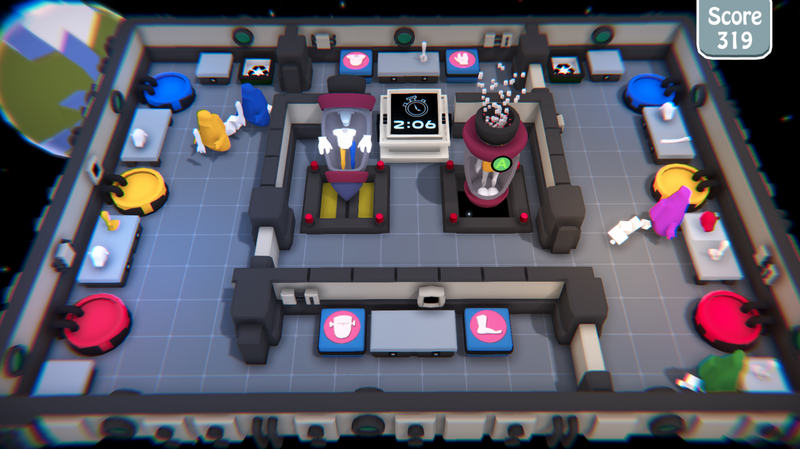 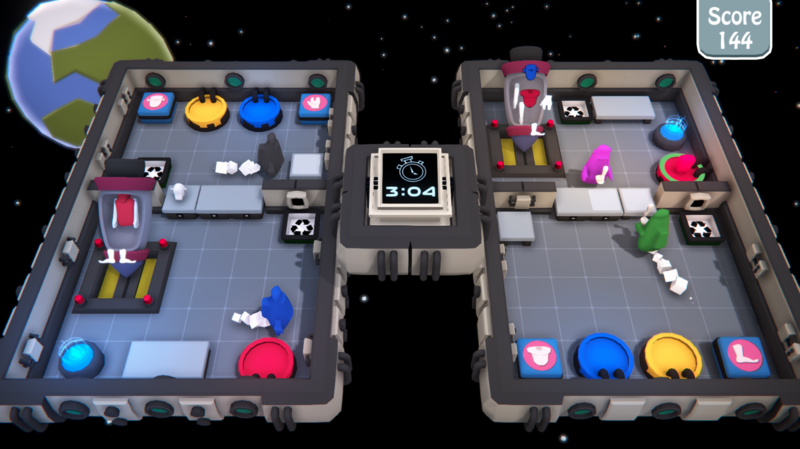 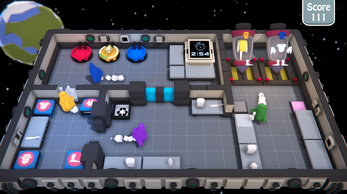 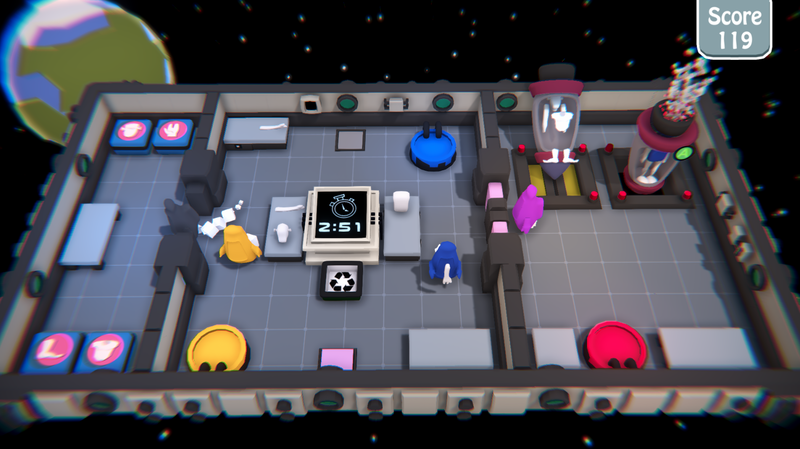 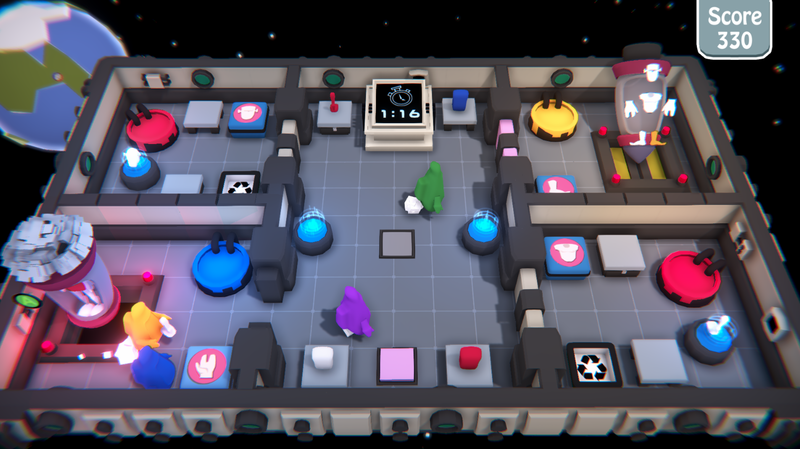 SpaceLab: Area42 is a 4 player local co-op experience for PC, where the players have to build their own Aliens in a low poly space laboratory. 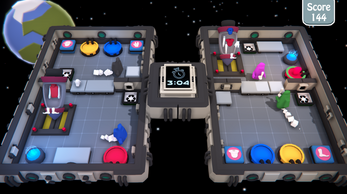 They need to work and communicate with each other in order to get the required and correct colored alien without losing too much time. To build our level we look at our gameplay reference: Overcooked. 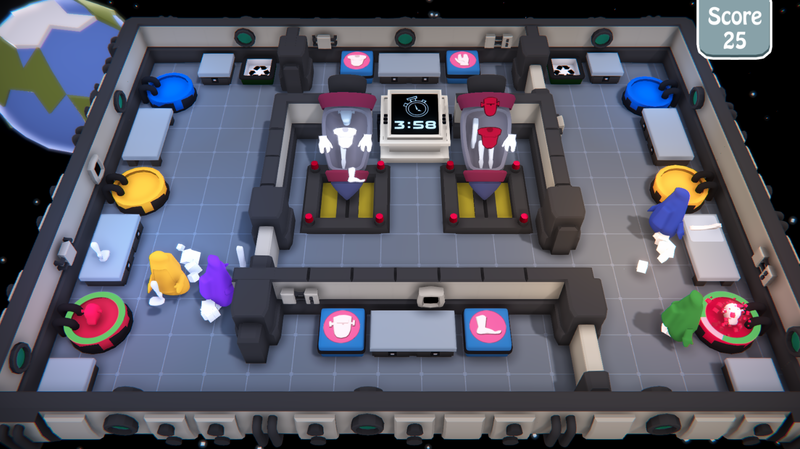 We want to introduce our mechanics to the players slowly in the main menu, so they understand what they have to do. 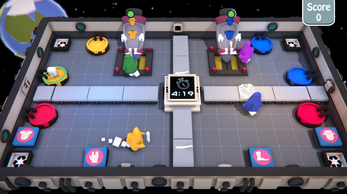 After that, the players should use these mechanics to build many aliens they can in order to destroy the earth. 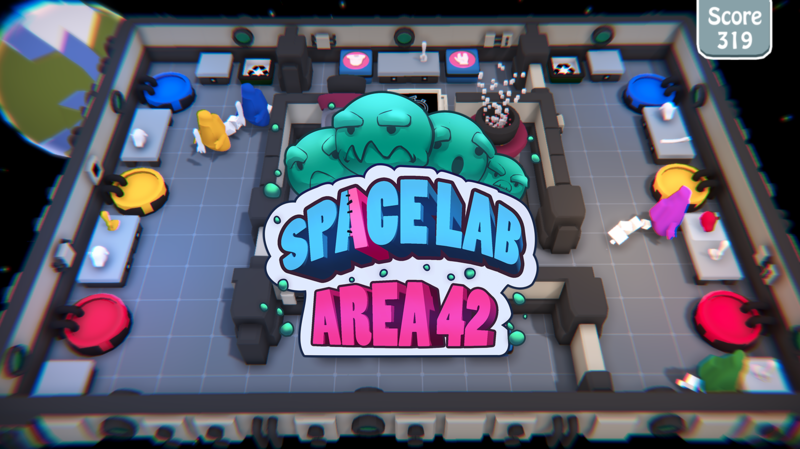 We are Alien Production, a Team of 2nd Semester S4G students developing our next game: "SpaceLab: Area42", since April 2017. 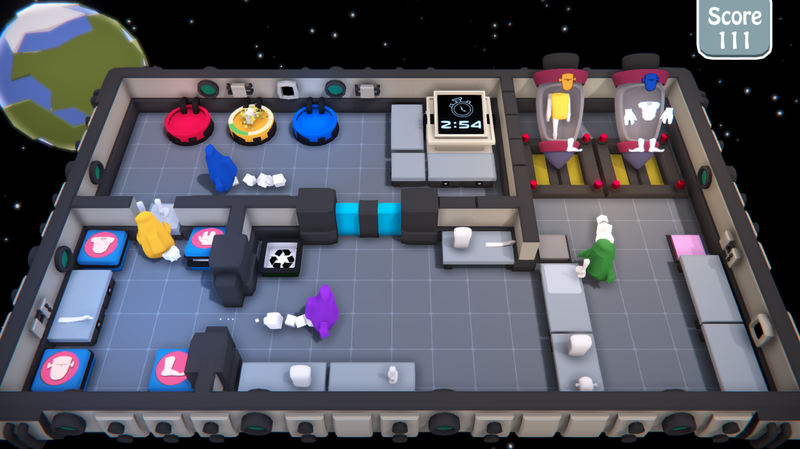 Our group is made up of three artists, three game designers, and one engineer. 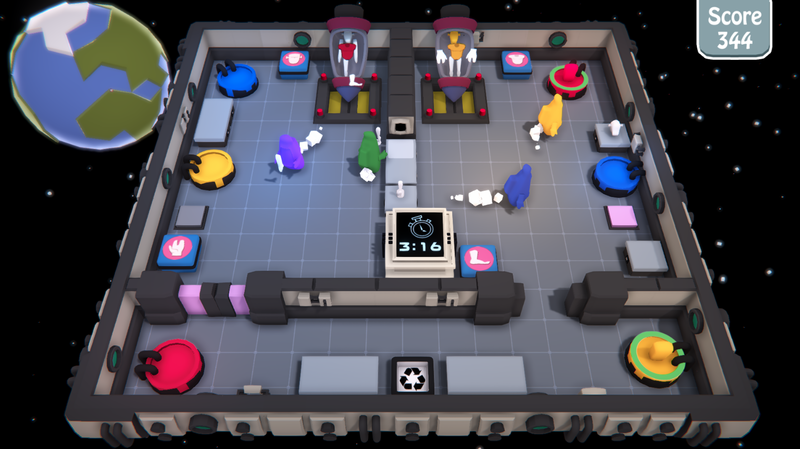 Our goal is to improve our skills in making video games.